It is amazing to think that it has been nearly 25 years since Star Trek: The Next Generation first graced television screens. It is equally amazing that – given the content of that first season – the show survived to become a phenomenon that far outstripped the success of the 1960s original. 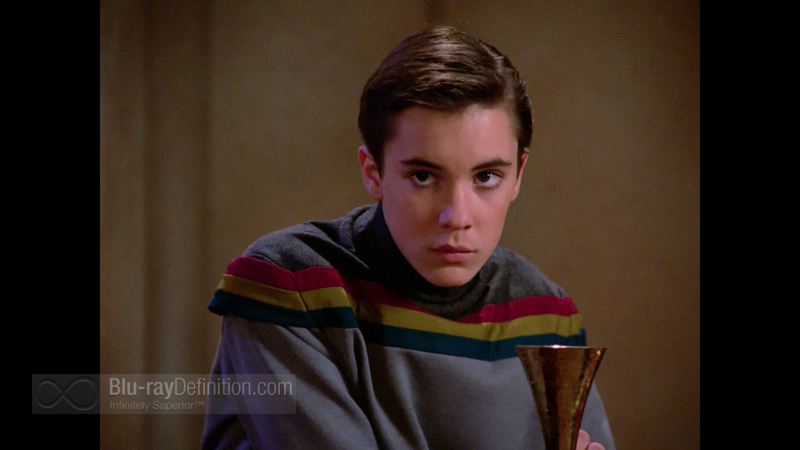 I mean, Wil Wheaton might be a geek hero now, but it’s largely because he fully admits how Wesley Crusher was an incredibly annoying little twit. 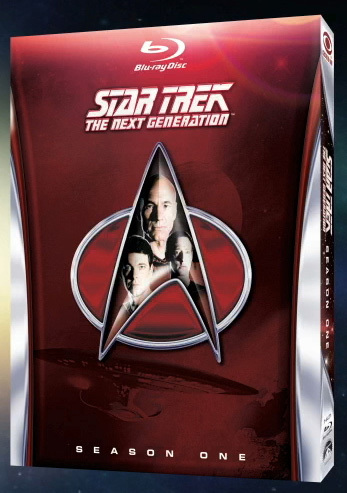 That, combined with the overall cheesiness of some of these episodes really drives home what a miracle it was that Star Trek became a powerhouse entertainment franchise that spans five series and 11 movies over nearly half a century…with another film ready to launch in 2013. In celebration of TNG‘s milestone, CBS and Paramount embarked on an unprecedented effort to remaster every single episode of the seven-year run and convert them all to Blu-Ray disc. And considering these original episodes were edited and aired in Standard Definition, this meant returning to the High Definition negatives and completely re-editing, re-mixing, and sometimes even re-creating entire special effects sequences. The effort involved was monumental. On Monday, a special one-night-only theater event showcased the new Blu-Ray Season One set and showed two remastered episodes, “Where No One Has Gone Before,” and “Datalore.” The pair were chosen largely because they were heavy on special effects, but they were also two of the better shows from Season One. Which is to say…they were okay…if you’re into Wesley: Boy Genius. Cringe-inducing by and in any definition. It’s actually been awhile since I’ve watched any TNG, even good TNG. Probably been a couple of years or more since the last time I caught a re-run, and even then it was probably “Hero Worship”, because it seems like that is always the episode that’s on. I’ll never understand how that happens. So even though it was Season One…I was still pretty pumped to see TNG again, especially on the big screen. I dragged my girlfriend to the screening at the Plaza and saw a few people wearing Starfleet garb outside the theater. I honestly expected a more lively crowd, but the seats were only three-quarters full. And they were the more quiet sort; nobody cheered when the theme music played the first time. But they laughed when Wesley was especially dorky, and when an unfortunate male Starfleet officer appears in the background of a scene wearing what almost had to be a female uniform. Oh, and there’s an out-take of Brent Spiner as Data doing a Jimmy Stewart impression that brought the house down. As you can see, you can now SEE. But if the enthusiasm of Kansas City Trekkies disappointed me, the remastering did not. Even without the side-by-side comparisons to the old SD footage, the new HD stuff shines like a diamond. There is, perhaps, too much detail on some scenes. (Those dudes sure wore some tight pants back then…) And the special effects are re-done and improved in such a way that they still fit with the rest of the show and don’t stick out like a sore thumb, which I know was a knock against the remastering of The Original Series. 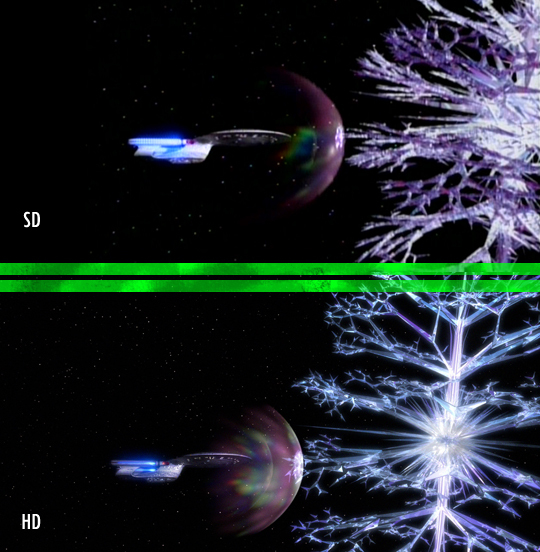 The Crystalline Entity from “Datalore”, for instance, had to be completely rebuilt as it was actually one of the few computer-generated effects done in Season One and the files had been lost. The new Entity is gorgeously menacing, but the designers were careful not to make it look too high-tech and overproduced. In other words, they don’t go the Star Wars route and start jamming painfully-obvious CGI “details” in every nook and cranny. The images are simply sweeter, not too sweet. What ain’t so sweet is the price. The Season One Blu-Ray set is retailing for $130, which means you’d eventually be spending nearly a grand if you collected all seven seasons. Right now, Amazon.com has the set discounted at $60, a far more reasonable sum. I doubt I’ll be picking up S1. Remastered or no, those episodes are often downright painful to watch. But Season 2 is on its way, and hopefully CBS/Paramount will make enough money to justify releasing the rest of the show, and then give the same treatment to Deep Space Nine. Voyager and Enterprise…there isn’t a single thing on those shows I’d want to see in HD. Tags: Blu-Ray, Data, Enterprise, Picard, sci-fi, science fiction, Season One, Seven of Nine, Star Trek, The Next Generation, Wesley Crusher. Bookmark the permalink.